Their first vines were planted in 1997, and first wine produced in 1999, setting the path for the quality that they have become known for. This is a very interesting fact about Quinta do Perdigão – they received recognition from the very first start. 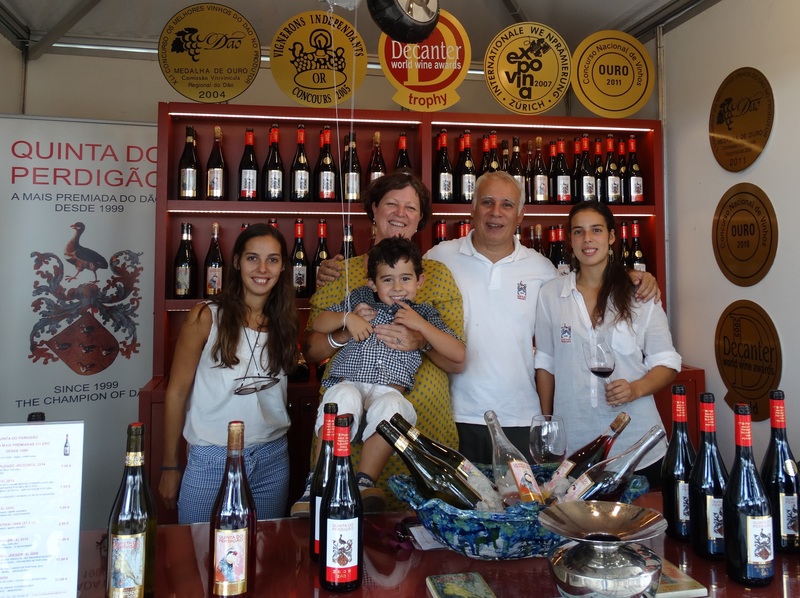 The first wine Quinta do Perdigão produced, won the best wine in the region! It was just the beginning for them because since then they have never looked back! Quinta do Perdigão has produced some of the most prized wines in the Dão Region, both nationally and internationally, distinguished by “The Wine Opus, A 21st century reference to more than 4,000 of the world’s greatest wineries and their wines”. Quinta do Perdigão vineyard is a family production of only 8 hectares. We are glad to see that is also organically worked and certified to ensure the quality of all their products. With 5,000 vines per hectare, planted in granitic soil, it produces only small quantities of high-quality wine from Touriga-Nacional, Alfrocheiro-Preto, Tinta-Roriz / Aragonês (Tempranillo) and Jaen (Mencia) red grapes and Encruzado white grapes. The small amount of wine produced, red, rosé and white, results from the severe selective harvesting of the grapes still in the green in July and August and the extra-rigorous manual harvest in September and October. Importes, Distributors and Professional Buyers we know this made you curious so contact Quinta do Perdigão here and now! ← SALATIN – Tradition and innovation, technology and eco-sustainability!